Where was the Voynich MS kept and how did Voynich find it? This is one of two pages at this site that look more closely at Voynich's acquisition of the Voynich MS, in 1911 or 1912. This page explores the details of the 'discovery' of the Voynich MS by Voynich, in particular the questions where the MS was hidden and how he found it. This 'discovery' does not only concern the Voynich MS, but rather a larger collection in which it was included. The parallel page explores the composition of this collection. There are occasional cross-references between the two pages, but both can be read independently, without having to go back and forth all the time. There is a third page that paints the historical background of this collection, which is recommended reading, but not absolutely needed to understand the present page. Some details of that page are also included here. In all publications about the Voynich MS we read that the location where the manuscripts were stored and sold was the Villa Mondragone in Frascati, but the evidence for this, and for many other details surrounding this 'discovery', have never been analysed in detail. In the first part of the present page I will present all evidence about these events known to me, either directly from Voynich himself, or indirectly from other people's reports of his statements. We will see that there are several different versions to his story, in particular about the location of the sale, which is either a castle in Austria, a castle in Southern Europe or more specifically a castle in Frascati. In the subsequent sections I will explore independent sources related to these events, while keeping open all different versions of Voynich's story. Here, it becomes clear that Voynich was obliged to maintain strict confidence about the sale and about the origin of the manuscripts, by the Jesuit sellers. We shall also see that it was very difficult to maintain this strict confidence, but he managed to keep the secret quite well. The conclusion is that one of the main elements of Voynich's story, namely that he discovered these manuscripts himself, in chests of which the guardians were unaware of what they contained, is certainly not true. It was a collection hidden by the Jesuits in or before 1873, offered for sale to the Vatican in 1903. Around 1911 Voynich was invited to buy part of it. The collection seems to have been in hiding in one of two possible places not far from Rome, either Castel Gandolfo or Frascati, or in fact in both, one after the other. All books and articles written about the Voynich MS tell us that it was discovered by W.Voynich in Villa Mondragone in Frascati. Is this really what happened? Voynich always maintained that he discovered the collection of books and manuscripts that included the Voynich MS (1) in chests of which the owners themselves were unaware what they contained, but he never said exactly where this was. He certainly never mentioned Villa Mondragone. This location was announced by Hans P. Kraus thirty years after Voynich's death. Kraus owned the MS after the deaths of Wilfrid and Ethel Voynich, and had access to some information not previously divulged by Voynich. This part of the history of the MS has largely been copied between printed and internet sources over the years without much further investigation, but the availability of new evidence makes this investigation possible now. Information from Voynich about the acquisition of this collection of manuscripts is relatively sparse. Best known are the statements in his 1921 paper (2), where he refers to his acquisition of these manuscipts in a castle in Southern Europe, while he was keeping the precise location secret, since he was still hoping to buy more books there. This was written nine years after the event, but there are also some earlier recorded statements from Voynich. They are presented here in chronological order. The first sources we have are several newspaper reports from November 1915 that describe a number of exhibitions of Voynich's most interesting manuscripts and early prints (3). I have transcribed them here. These exhibitions included many more books than just the Jesuit collection including the Voynich MS, but the most notorious items were from it. During these exhibitions, Voynich spoke about the origin of the collection, and this has been recorded in the above-mentioned newspapers with some variations. Without repeating the full text of the four reports, following is my summary of them. During research, Voynich found evidence, possibly in some old correspondence, of a collection of manuscripts hidden in Austria. These were manuscripts from ducal or princely libraries, which were taken abroad during Napoleon's invasion into Italy, in order to prevent that they were taken to Paris by Napeolon. After some detective work, Voynich found the chests in a castle in Austria, or a castle of an Austrian nobleman. These chests had not been opened for more than a century, and their owners or guardians had no idea what they contained. Voynich obtained the rights to them, also because the original owners had all died and the collection(s) had been forgotten. The large collection of manuscripts, acquired by me from its hidden place, six years ago, consisted to my best knowledge of many collections belonging to Dukes and Princes, including part of the Malatesta library, part of the Matthias Corvinus library, and part of the Libraries of the Dukes of Parma, Modena and Ferrara, part of the collection of Borso, Alfonso D’Arragonia, and several others. I do not know from which of these collections Boccaccio was removed. Until the close of the 18th Century all these manuscripts were in Italy, but were then removed abroad in fear of Napoleon’s invasion. As far as I know, from that period until discovered by me, they were not disturbed, and not seen by anyone. The place from which I purchased them I cannot disclose, due to my promise given to the guardians of these manuscripts, whose former owners, as you see, disappeared, thanks to the unification of Italy under the Savoy Dynasty. In regard to the history of the MS., I am sorry I can tell you very little because I am bound by promises made to those from whom I acquired it. As I hope some day to be able to acquire the remaining manuscripts in the collection, I refrain from giving details about the locality of the castle. In 1961, one year after ELV's death, the new owner of the MS was the rare book dealer Hans P. Kraus. From him we have two reports about a visit he made to the Vatican library, where he spoke about the MS with Mgr. Ruysschaert. This event is also described here. when I was, a few weeks ago, in the Vatican Library, I found out that the Cipher Manuscript comes from the library of the Collegium Romanum, which was housed in 1911 in the Mondragone Monastery in Frascati. The Vatican Library bought the whole collection and the Cipher Manuscript with the other 17 illuminated manuscripts are still listed in the inventory. This inventory was printed by Ruysschaert – Codices Vaticani latini 11414 – 11709. In 1963 we were in Rome and I visited Monsignor Jose Ruysschaert at the Vatican library. I knew that he had published the catalogue of the Mondragone library and I hoped to get information about the Cipher manuscript. These two reports are not fully consistent: in one the year appears to be 1962 and in the other 1963. Furthermore, in one there is the suggestion that he learned about Villa Mondragone from Ruysschaert, while in the other it appears as if that was his prior knowledge or assumption. In May 1962 Kraus was one of the participants of a trip to Italy that was organised by the Grolier Club (of which he was a member) (8), and the visit to the Vatican Library took place on 22 May. It is logical that the letter to Friedman, written only briefly after the event, has the correct year. Kraus' inaccuracy does require us to treat his reports with some care, and we will come back to this further below. There are some common points, and some inconsistencies in the above. What clearly emerges is that Voynich was only allowed to acquire the set of books and manuscripts under promise of secrecy, and that he always stuck to that. It has to be stressed that this secrecy did not specifically concern the Voynich MS, but the entire collection that he had acquired (see note 1). This is clearly reflected in the above-mentioned letter about the Boccaccio MS of the University of Chicago (9). His secrecy is confirmed by material now preserved in the Beinecke Library. Some of the documents have comments written in pencil saying "safe to keep" or "don't destroy this" (10), showing that other material must have been destroyed. 2.4. The year of the discovery: 1911 or 1912? The year in which Voynich 'discovered' the MS is traditionally reported as 1912, and this is the year that he mentioned in his 1921 publication (see above). At the same time, the letter from ELV (see note 7) says "1911 (or about)", and the 1917 letter from Voynich to Wilkins says "six years ago", implying 1911. Kraus’ letter to Friedman also mentions the year 1911. Finally, Ruysschaert (1960) (11) writes ‘towards 1912’ (from his French: "vers 1912"). We cannot yet resolve this uncertainty, and I will always write 1911-1912. It is of course quite possible that his involvement in the acquisition spanned the years 1911 to 1912. The main inconsistencies in the various reports from Voynich (and Kraus) are the following. First, Voynich always claimed that he discovered the collection himself, while ELV states in her letter that he was invited to acquire a subset of a larger collection that was already being sold. Secondly, while Voynich initially refers to an Austrian castle, later he refers to Southern Europe, and ELV mentions Frascati. Austria would not qualify as Southern Europe, but Frascati certainly does. A third inconsistency is the reason for secrecy. Initially, he said it was because of an agreement with the sellers. Later, in 1921, he said it was because he wanted to go back there to acquire more books. When speaking in confidence to his wife (we don't know when), he again said it was specifically desired by the sellers. What makes matters even more complicated is that Voynich was a man with a very lively fantasy. This was already pointed out by Rafal Prinke (2012) (12), and we find more proof of it in Kennedy (2016) (13). Both have been partially reflected in Voynich's biography. We find that he loved to exaggerate both the details of his life (wandering for months through a Mongolian desert) and the details of his books (supposed illustrations from the hands of such famous artists as Giotto and Mantegna) (14). In view of all this uncertainty, let's not try to jump to conclusions now, but look at other evidence first. The manuscripts that Voynich acquired had bibliographical paper slips attached to them, which he removed and hid. They were found in the London shop by Herbert Garland in 1937, sent to Anne Nill in the US and are now preserved in the Beinecke Library. As far as I know, Voynich never mentioned or showed these to anyone. An example of these bibliographical slips is shown below. 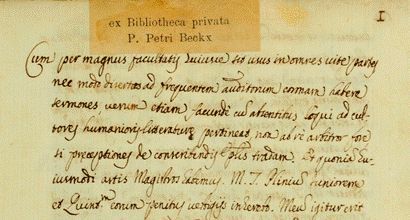 It says ex Bibliotheca privata P. Petri Beckx, and Petrus Beckx S.J. was the General Superior of the Society of Jesus when the society was suppressed in 1873. These paper slips have been discussed in a dedicated section in the parallel page, with an additional short analysis, which shows conclusively that the collection of manuscripts, from which Voynich was allowed to acquire a subset, belonged to the Society of Jesus. At the same time, the earlier princely and ducal owners that Voynich mentioned on several occasions were not an invention. These were the owners of the manuscripts before they entered the Collegium Romanum Library, and another section of the same page shows that each of the names in Voynich's letter to Prof. Wilkins (as cited above) is attested. This collection of manuscripts disappeared from sight around 1870-1873, when the Society of Jesus was suppressed and their libraries were confiscated. Their disappearance has been recorded for three of the manuscripts in the collection. These manuscripts had been consulted in the Collegium Romanum library before the suppression (15). Voynich gave two possible reasons for his secrecy. The first is that he was obliged to maintain secrecy about the sale by the guardians (i.e. sellers) of the manuscripts. The second, later, reason was a commercial one, namely that he was still hoping to return to this place to buy more manuscripts. We already saw in the analysis of the paper slips on the parallel page that in the manuscripts preserved in the Vatican the name of Beckx has been erased, while on the slips we still have from Voynich it is perfectly legible. This clearly means that the erasure was not done before the sale, but by the Vatican library after the sale. This need for the Vatican to hide the origin of the manuscripts tells us that the entire sale must have been done in confidence. That means that Voynich's original story (which is also reflected in the letter of ELV) must be the correct one. An additional confirmation of this conclusion is presented further below. There exists a catalogue of a collection of Jesuit manuscripts for sale to the Vatican, written in 1903, that includes almost all of the manuscripts aquired by Voynich. It has been described in some detail here. This must be the inventory that Kraus referred to in his letter to Friedman mentioned above. The existence of this catalogue clearly shows that the part of the story of Voynich, where he discovered the manuscripts in chests of which the owners did not know what they contained, is not true. It can only be part of a "cover story", one he needed in order to fulfil his promise of secrecy. Here again, the information provided by ELV in her letter, namely what Voynich told her in confidence, fits exactly with the information from this catalogue. He must have been invited to acquire a number of the manuscripts. Did this take place in Frascati, or in an Austrian castle? The Jesuit father Joseph Strickland (16), who was the intermediary for the sale according to ELV's letter, was an alumnus of the nobile collegio Mondragone. From 1903 to 1911, while still associated with the college, he was working in Florence, where Voynich was operating one of his book stores since 1908. Some letters from Joseph and Paul Strickland (Joseph's brother, also alumnus of Villa Mondragone) written shortly after the sale of the manuscripts to Voynich are preserved in the Beinecke. They have been transcribed here. While they don't provide any real insight in what happened, two of them have a Villa Mondragone letterhead. The '(castle?) at Frascati' mentioned by ELV is therefore most probably Villa Mondragone. We may learn more about this episode from additional historical records, first of all a letter written by Paul Pierling S.J..
An important witness of the suppression of the Society and the confiscation of their property during the reign of P. Beckx S.J. was the Jesuit Father Paul Pierling (1840-1922), who was the secretary of the Assistant for Germany in the Curia Generalis (17) and who was based there (in the Casa Professa, annexed to the Gesù church) from 1871 to 1876. He recorded some of the events in a letter. Following are some excerpts of it (18) (my annotations in square brackets). We walked immediately towards the great library. The absence of catalogue caused a surprise, which ended when genuine acts proved that the catalogue never existed. Copies of these acts were taken and the Piemontese seals closed the doors above which we can see St-Ignatius of Manrèse, with the caption: “Liber exercitiorum S.P.I. bibliothecas Societatis aperuit”. The library of the Duchess of Saxony, which must be transferred by will to the Emperor of Austria, was sealed by a secretary of the Austrian legation, some days later. Here we clearly see the origin of the 'Private library of P.Beckx'. It was a ruse which allowed the Jesuits to preserve books from their libraries from confiscation by the state. In Carini Dainotti (1956) (19) we read that Beckx was allowed to keep 4000 items. In addition, she says, P.Beckx took 60 cases out of the Casa Professa. It is not certain that all books that now show stickers saying Ex bibliotheca privata P.Petri Beckx were really placed in his private library at this time. The stickers may have been an added safety measure to protect books that had already been put in hiding. in a collection of more than 2000 manuscripts preserved in the Historical Archives of the Pontifical Gregorian University in Rome, the so-called Fondo APUG. This collection includes the Kircher letters. An example of such a sticker (below) shows that they were often applied directly to the initial pages of the MS. The above three sets of books and manuscripts were preserved in the Collegium Romanum library (Bibliotheca Maior) which is to be distinguished from the library of the Casa Professa. What happened to the Casa Professa library mentioned by Paul Pierling S.J. is not known to me. The origin of these three collections is demonstrated by the identification of the original Collegium Romanum shelf marks that have been written on them in various places. Most particularly they have been written in pencil on the reverse of the bibliographical slips of the first two collections. See for example "4 c 62" in >>MS Vat.Lat.11543 ), and similar codes (4, followed by a character c-f, followed by a number) on many of the Beinecke slips. A few are also written in the margins of the 1903 catalogue. These codes match the type Se >>as discussed on this page. In addition, in van Mater Dennis (1927) (20) we read that the Marcanova MS of the collection bought by Voynich was seen in the Collegium Romanum library, with shelf mark "4 F 44". Another MS that was acquired and sold by Voynich had been seen in 1870 by the Hungarian historian Flóris Rómer, who reports that it had shelf mark "4 f 45" (21). So, what happened with the books and manuscripts saved by the Jesuits in or before 1873, and in particular the collection including the Voynich MS? This is quite a complicated part of history, and the few cases of moves of archives and libraries that I have been able to extract from various sources may be used to show this. The main library of the Collegium Romanum was confiscated, which means not only the books, but also the building itself, which was simply converted into the new state library. Many books and manuscripts were salvaged by moving them out and hiding them. Additionally, an important collection was also hidden inside the building. It is not clear when this was initiated, but this collection of books and manuscripts was stored in a room that has become known as the Ripostiglio which was locked and hidden behind a trap door. It was discovered four years later, in 1877, by a government official (22). His report criticised the Jesuits, who on their side responded with indignation. The 1752 most important manuscripts in this collection were transferred to the state library where they now form the Fondo Gesuitico. None of the manuscripts from this collection had a "P. Beckx" sticker attached to it. The most valuable item was a Muretus autograph, but it also included five autograph manuscripts of Kircher (23). This clearly shows that Kircher's library had been integrated into the Collegium Romanum library by then. The less interesting part of this collection was moved to an attic in the Collegium Romanum building, the so-called soffitta, and largely fogotten. It suffered a bit from the elements (primarily water), and later this collection was given back to the Jesuits, who integrated it into the historical archives of the Gregorian University as the Fondo Curia. In may of these, the original Collegium Romanum shelf marks have still been preserved. In a newspaper article from the Journal de Lyon of 29 October 1873 (cited and transated here), we read that 144 Jesuits had to leave Rome. 50 of them moved to two Villas that the prince of Torlonia had placed at their disposal: one in Castel Gandolfo, the other on the ancient territory of Bola, between Praeneste and Tivoli (24). Several were accepted at the college of Mondragone, in Villa Borghese in Frascati. We further read in the biography of Beckx (25) that on 13 October 1873 the historical Jesuit novitiate of St.Andrea al Quirinale was forced to close and had to be evacuated within two weeks. Prince Alessandro Torlonia immediately offered to continue the activities in his Villa in Castel Gandolfo. The authorities of the Order made an attempt to save the Archives from any harm. They were first transferred to the basement of the Palazzo Torlonia on Via della Riconciliazione (27) and in 1873 to the attics of the German College which at that time was located in the Palazzo Borromeo on Via del Seminario near St. Ignatius Church. It is clear that Prince Alessandro Torlonia (1800-1886) played a significant role in helping the Jesuits in 1873, and we need to look at this more closely. However, let's first briefly turn to the library of the Duchess of Sachsen that was also saved from confiscation, as already mentioned above in the letter of P.Pierling S.J.. The general of the Society of Jesus was responsible for securing another important library from confiscation by the Italian state, namely the library that was described above as the library of the Duchess of Sachsen. It is more generally known as the Bibliotheca Rossiana (28). We may start with a brief history of this library. The bibliophile Giovanni Francesco de Rossi (1796 – 1854) collected a significant library of books and manuscripts with the financial support of his wealthy spouse Louise Charlotte de Bourbon (1802 – 1857), Duchess of Sachsen (from her first marriage). De Rossi insisted with his wife that, in case of his death, this collection of over 10,000 items should not be dispersed but remain intact. After De Rossi died, his widow remarried, and in order to avoid problems in case of her own death, she decided to donate the entire collection to the Jesuits in Rome, who stored it in the Casa Professa. This document was considered binding, not only by the Society of Jesus, but also by Austria and it would play a decisive role in the vicissitudes of the library. During the first 18 years after the donation, while the collection was in the Casa Professa, it was completely inaccessible. At this time, this collection was known as the Biblioteca della Duchessa di Sassonia. It was one of two libraries preserved in the Casa Professa, the other one being the main Jesuit library (29). As we saw, in 1873 the newly formed Italian state confiscated all libraries owned by the Society of Jesus, but some considerable parts of at least the Collegium Romanum library escaped from confiscation. The remainder was transferred into the Italian National Library in Rome. For the library of the Duchess, who had already died in 1857, one of the clauses in the contract had come into effect, and the Austrian ambassador to the Vatican agreed with P.Beckx that the entire collection should be transported to Austria. Initially, possible locations for the storage of this collection were explored by both parties, and Malta was proposed by the Jesuits as an interesting option, but eventually discarded in favour of Austria. The library of the Duchess was packed into 53 boxes (30) and moved just a few hundred metres, from the Casa Professa to the Palazzo Venezia, which was the residence of the Austrian ambassador. The transportation to Austria took place in 1877, initially to the sacristy of the Jesuit Church near the old University in Vienna. This location eventually turned out to be too humid for the valuable collection, and so, after another 18 years, in 1895 the collection was moved to a more appropriate location: the Jesuit College in Vienna’s 13th district: Wien-Lainz. From this time onwards the collection was known as the Biblioteca Rossiana. At this time it contained approximately 9000 items, including about 1200 manuscripts, 2500 incunables and some 5300 mostly valuable later prints. The collection was arranged on 23 bookshelves and was available for consultation by historians. In 1912 there was talk of selling the library, and both antiquarian book dealers (31) and major European libraries were interested, but this sale did not take place because of legal concerns related to the contract of the Duchess with the Jesuits. Finally, in December 1921, the entire collection was moved from Vienna to the Vatican, and incorporated into the Vatican Library as the Fondo Rossiano, where the books and manuscripts received new shelf marks, and where they are still preserved today. This transfer involved difficult negotiations, since the Italian state was still very interested in Jesuit property that they considered subject to confiscation. This is nine years after the sale of the Jesuit collection that included the Voynich MS, and it clearly shows that the confidentiality of that sale in 1912 was justified. 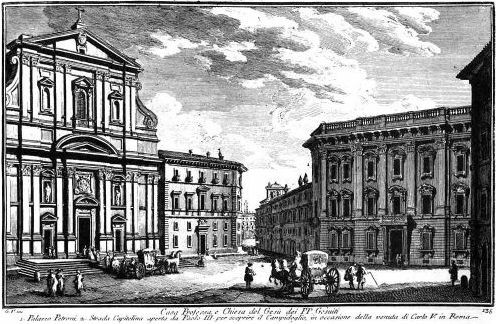 The Jesuits possessed two libraries in the Provincial House of Rome [casa professa]: on the one hand the Bibliotheca Rossiana, on the other hand their own library, for which the general requested intercession by the Austrians, since it would certainly be affected by a confiscation of the Italian authorities. Cf. report of Hübner to foreign minister Andrassy of 22. X 1873 (HHStA, PA XI 219, Nr. 29, f. 174r) (32); in addition La Capitale. Gazzetta di Roma Anno 4 Nr. 110, Friday 17 Oct. 1873, 2. The General of the Jesuits, now residing in Florence, was asked by a representative of the Austrian-Hungarian embassy to the Vatican at which location outside Italy the library should be placed. For this, four locations were under discussion: Malta, Innsbruck, Kalksburg and Vienna. Initially, a transfer to Malta was considered. However, P. Beckx rejected this option out of consideration for the Austrian emperor, and in his answer of 15 September 1877 decided in favour of the Jesuit house in Vienna. From this, we know that Beckx favoured three locations in Austria for the Bibliotheca Rossiana, namely the Jesuit colleges in Kalksburg (near Vienna), Innsbruck and Vienna itself. The last, as we have seen, was actually a church, and this is the location where the library was moved after a few years. 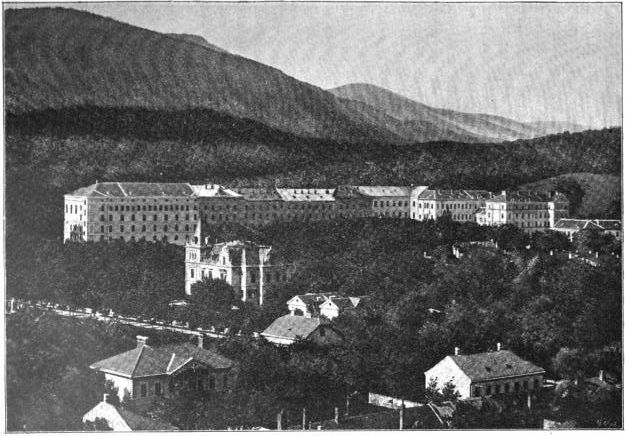 Interestingly, Joseph Strickland studied in the Jesuit college of Feldkirch sometime between 1870 and 1875 (33), and around the same time teachers at this college included Franz Xaver Wernz (the Jesuit General in 1906-1914) and Franz Ehrle (prefect of the Vatican Library in 1895-1914), i.e. two of the key people related to the sale of the manuscripts of the Collegium Romanum to the Vatican Library) (34). However, all of this is almost certainly coincidental. An additional intriguing detail may be found in the catalogues of the Morgan library, which describe the two Corvinus manuscripts that originate from Voynich's acquisition (35). The library catalogue says that these manuscripts come from the Jesuit college in Wien-Lainz, i.e. where the Bibliotheca Rossiana was stored. Could this be evidence that also the collection including the Voynich MS was hidden there after 1873? The history of the two Corvinus manuscripts sold to Morgan in 1912 (see note 35) helps us to shed more light on these events, and we need to step back in time a few years again. In 1867, a librarian wrote to the Hungarian historian and priest Vilmos Fraknói that the Roman Casa Professa contained a collection of books of the Duchess of Sachsen that should be sent to the emperor of Austria, which included a MS originating from the Hungarian king Mathias Corvinus (36). This triggered the historian Flóris Rómer to travel to Rome in 1870 and take photographs of a set of four Corvinus manuscripts known to have been in Rome. These photos were published in Rómer (1871) (see note 36), and concerned the aforementioned MS (a missal) in the library of the Duchess, a breviarum preserved in the Vatican library (37), and two manuscripts in the Jesuit library in the Collegium Romanum: a Cicero MS and a MS of Didymus Alexandrinus and other texts. This publication written in Hungarian became well known among historians in Hungary, but not much outside. Later researchers of the library of Corvinus went looking for these manuscripts in Rome in vain, e.g. János Csontosi in 1886 (38) and Wilhelm Weinberger in 1908 (39). The latter reports that he had gone to see the missal in the Vienna Jesuit college himself, while the other two from the Collegium Romanum, like many other books from the Collegium Romanum, should have been moved to the Vittorio Emanuele library in Rome. However, they were not to be found there. Next, in 1912, these two manuscripts surfaced in Hungary, where they were offered for sale by the Florence book dealer Tammaro De Marinis. The manuscripts were recognised at once, and the historian and politician Albert De Berzeviczy was greatly interested in acquiring them. He gave a lecture about the importance that these two manuscripts returned to Hungary on 26 June 1912 (40). However, they ended up being sold to Pierpont Morgan through one of his favourite dealers in Rome: Alexandre Imbert. De Marinis' partner Vittorio Forti remembers these details in a letter to H.P. Kraus in 1975 (41). Forti writes about his trip to Hungary, and about the fact that these manuscripts came from Wilfrid Voynich. According to an unknown source quoted by the Morgan library, the binding of one of the two manuscripts should be identical to that used by De Rossi for his entire collection (42). The Morgan library was so kind to send me an image of this binding, and it could be verified that this is not the case (43). That these two manuscripts were stored in the Jesuit college of Wien-Lainz seems to be reported in Hevesy (1923) (44), a reference I have not yet been able to consult. It was written after the manuscripts were already sold to Morgan. It is quite possible that the association with the collection of De Rossi in Wien-Lainz could have been suggested in part by Voynich's story referring to an Austrian Castle. 4.5. Austrian castle or not? On the one hand, the story of Voynich that the manuscripts were stored in a castle in Austria is quite plausible, given the historical evidence related to Beckx' interactions with the Austrians, and the move of another library that had been stored in the Casa Professa in 1873 to a castle in Austria. It seems hard to imagine that Voynich could have invented such a story which coincidentally matches these records. On the other hand, all the other elements of his story that could be verified turn out to be false. He certainly did not discover the collection in chests of which the owners were unaware what they contained, and his detective story related to correspondence leading him to the discovery becomes nothing more than a fairy tale. If the 'Austrian castle' is indeed nothing more than a cover story, Voynich possibly had some help from Strickland in putting it together, as he should have been well aware of the Bibliotheca Rossiana in Wien-Lainz and its history (45). With this, let us leave Austria and turn back to Italy. Sometime before 1884 the Jesuit bibliographer Carlos Sommervogel was tasked by P.Beckx to issue a new version of De Backer's complete Jesuit bibliography (46). The first two issues were from the brothers Augustin and Alois De Backer, both Belgian Jesuits. Sommervogel already assisted in the preparation of these issues (47). By 1886, Sommervogel realised that important references for him were contained in the hidden archives of the Society. He temporarily obtained access to some documents of these archives, and from this episode we know that they were stored somewhere in the Roman province (48). The third issue of the Bibliothèque de la Compagnie de Jésus (49) started appearing in 1893, but it does not mention the Carteggio Kircheriano, which consists of 14 documents from the Fondo APUG with the typescript label Ex bibliotheca privata P.Petri Beckx. The Jesuit bibliographer Sommervogel did not know about their existence. As regards the collection of 380 manuscripts acquired by the Vatican (and Voynich), the Jesuit historian Miquel Batllori S.J. declared many decades later, in 1962, (50) that he had not been able to find any detail about the sale of the manuscripts to the Vatican library, or about their previous whereabouts, despite searching for it in the Roman Archives of the Society (ARSJ). These two points show on the one hand that archive material was stored somewhere in the Roman province, but on the other that the items labelled as from the private library of P.Beckx were indeed completely hidden from sight, even to Jesuit historians. As mentioned above, prince Alessandro Torlonia (1800-1886), a close personal friend of Petrus Beckx S.J., helped the Society of Jesus in 1873 by hosting people, a school and Jesuit documents in the various dwellings he owned inside and outside Rome. In June 2015 I learned from the very helpful staff in the Historical Archives of the Pontifical Gregorian University in Rome, that the collection called Fondo APUG, which includes a.o. the Kircher correspondence, was moved back to Rome in 1919, and that it is also still known as the "Castel Gandolfo collection" (51). This very strongly suggests that this collection was indeed stored in the Villa of Prince Torlonia in Castel Gandolfo, before being moved back to Rome in 1919. 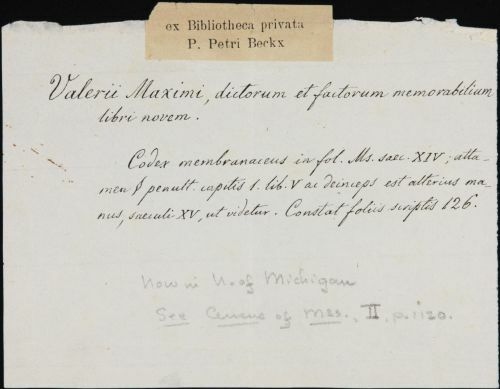 Since both this collection and the collection of 380 old manuscripts originate from the Collegium Romanum library, and both have the same "P.Beckx stickers", it seems quite likely that they would have been moved to Villa Torlonia at the same time. Now where was the building of Torlonia's Villa in Castel Gandolfo? In literature, two such buildings are mentioned. One is known as Villa Carolina, and the other as the Villa dei Gesuiti. Both were acquired independently by Giovanni Torlonia (1755-1829), and inherited by Alessandro's older brother Carlo. Upon Carlo's death in 1848 they both befell to Alessandro. 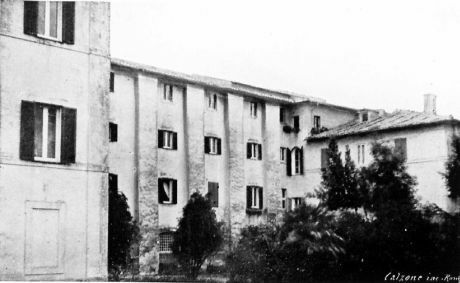 The building that hosted the Jesuit novitiate was the Villa dei Gesuiti, which derives its name from the fact that in the past it belonged to the Society of Jesus. It was, however, taken from them in 1773. The Villa achieved some minor fame because Goethe spent three weeks there in October 1787, and he wrote about falling love there. 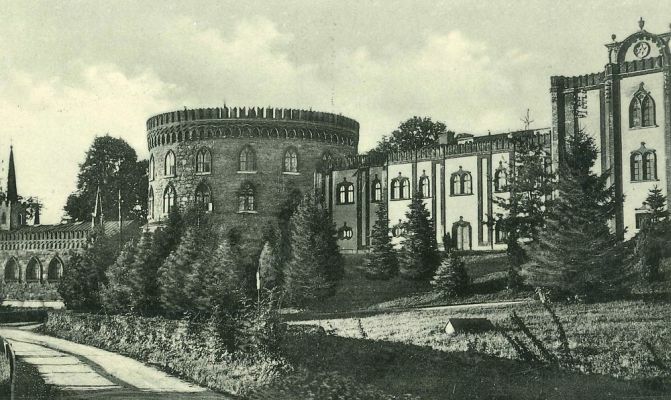 A photograph of the building, made before 1902, is shown below (52). Its location both on a map of 1913 and a modern satellite view is shown below. Both Villas are visible in the aerial picture below. We are still faced with several options: the collection of manuscripts including the Voynich MS may have been stored only in the Villa Torlonia in Castel Gandolfo; it may have been there first, but moved to Villa Mondragone in the course of the sale to the Vatican; or it may have been in Villa Mondragone ever since 1873. The critical question here is whether Villa Mondragone would have been safe enough in 1873, as it was a Jesuit school. Xavier Ceccaldi points out here that at this time the rector of the Jesuit college at the Mondragone was father Alessandro Ponza di S.Martino S.J., who was the brother of count Gustavo Ponza di San Martino, one of the trustees of King Vittorio Emanuele II, who had already shown his support to P. Beckx. This could have played a role, and the villa could have been considered safe. One could interpret this in different ways. It is clear that Ruysschaert will have told Kraus that the manuscripts come from the library of the Collegium Romanum. Now did Ruysschaert also say that this was hosted in the Mondragone, or is this Kraus' own addition? Villa Mondragone is not mentioned in Ruysschaert's catalogue at all, and as we saw above, Batllori, who collaborated with Ruysschaert in its preparation (53), did not know anything about the location in 1962. Kraus then adds that the Vatican library bought the whole collection, which is inaccurate because it implies that the entire Collegium Romanum library would have been stored in Villa Mondragone and acquired by the Vatican. This inaccuracy is more likely to be attributed to Kraus. When he then writes that the various manuscripts are still listed in the inventory, it is clear that he refers to the inventory drawn up in 1903, indicating that Ruysschaert would have shown it to him. 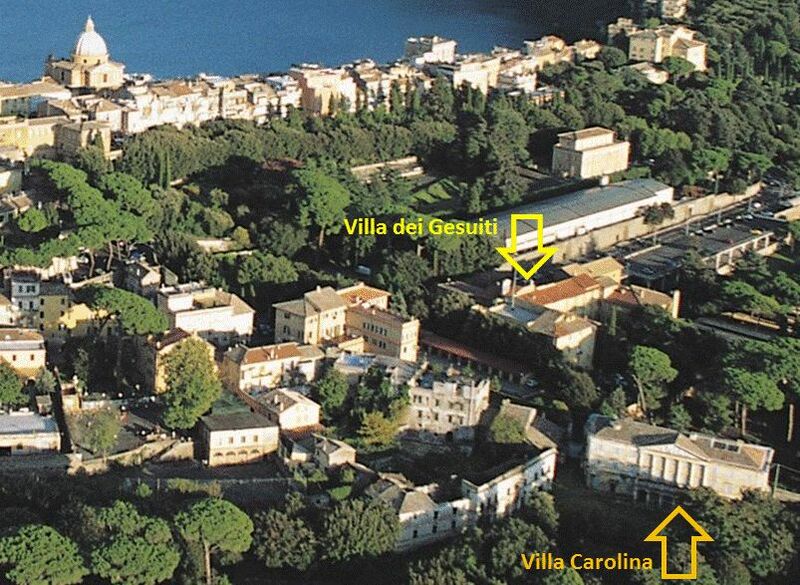 In 1873 Villa Mondragone was owned by Marcantonio Borghese, who was also supportive of the Society of Jesus. Just one year earlier, his son Giulio had married Alessandro Torlonia's only remaining daughter Anna Maria, after which Giulio assumed the Torlonia family name. The two princes were therefore closely associated and may well have cooperated during these events. In (or before) 1873 two collections of manuscripts were removed from the Collegium Romanum library, and stored outside Rome. The larger one of more than 2000 items was almost certainly moved to Villa Torlonia in Castel Gandolfo. The smaller one including the Voynich MS probably went the same way. It was decided to sell the latter collection to the Vatican in or around 1903. In the course of this sale, the collection may have been moved from Castel Gandolfo to the Villa Mondragone. The sale (to the Vatican and Voynich) was completed in 1912. Voynich became involved most probably in 1911, through the mediation of Joseph Strickland S.J. Voynich did not discover the collection himself and it was never 'lost'. He had to promise never to tell anyone what was the origin of the collection. Even the Vatican tried to obfuscate its origin by erasing the name of Beckx from the manuscripts. When Voynich was allowed to acquire the manuscripts, he seems to have considered it already the property of the Vatican (54). The other, larger collection was never intended for sale. It was moved to the German college in 1919, where it remained hidden and inaccessible (55). Following is a graphical representation of the various moves of Jesuit library material. A similar figure could be drawn for the various moves of Jesuit archive material. All information leading to it has been presented in a dedicated page. Vicissitudes of the Society of Jesus. In this illustration, blue boxes refer to Jesuit collections and red boxes to other collections. Orange arrows are 'involuntary' moves, typically confiscations. The boxes for Castel Gandolfo and Mondragone still bear question marks, for the reasons stated above. Whether this [inserted: secrecy] was because of the strained relations with the Quirinal I do not know. However, the case of the two Corvinus manuscripts shows that this secrecy was very difficult to maintain, and the Jesuit sellers inevitably must have been aware of this. Hungarian researchers had been looking for the Didymus MS, with its famous portraits of Mathias and his wife, throughout the period that this MS was in hiding, both before and after 1903, the year in which the catalogue for the sale to the Vatican was composed. We may speculate that the Jesuits were aware of the monetary value of these and other manuscripts, and that the price they were asking could be problematic for the Vatican. That money played a significant role also for the Vatican library is well described in a paper by Franz Ehrle, the prefect of the library at that time (56). It is equally speculation that for this reason a private bookseller was engaged. Whether or not that was the reason, when Voynich was allowed to acquire and sell some of the most valuable manuscripts from the selection, he was faced with the problem of how to sell these two corvinates without becoming associated with the Collegium Romanum library. These two manuscripts were apparently immediately passed to De Marinis, and Voynich's association with De Marinis in this matter appears to have remained a secret until well after Voynich's death. De Marinis also immediately (it seems) proceeded to presenting them to the Hungarians. Whether he knew about their Jesuit origin from Voynich or not, we don't know, but he certainly knew about it as soon as his partner Forti showed them to the Hungarians. De Marinis published his catalogue, in which they are listed as sold, only the year after, and he put references to two Hungarian papers that would allow anyone to realise they came from the Collegium Romanum library. But this did not happen. For all the time that Voynich boasted about his valuable manuscripts, e.g. during his exhibitions in the US in 1915, and during the newspaper interviews he gave, he never mentioned these two Corvinates either. We are left to wonder why, in later years, Voynich changed his story from 'Austrian castle' to 'castle in Southern Europe'. Ellie Velinska has a plausible theory for this. Voynich had been denounced and became a target for investigations by the FBI in 1917, because he had been talking freely about obtaining manuscripts with secret codes in Germany and Austria, during the time of World War I (57). Because of this, not only he, but several other people in his circle were investigated. This may have led him to change his story. I am grateful to the Historical Archives of the Pontifical Gregorian University (Archivio storico della Pontificia Università Gregoriana) in Rome for the valuable information about their history; to Chr.Grafinger of the Vatican library for many helpful suggestions, and to W. Voelkle of the Morgan Library for additional helpful information. Several newspaper clips were found by E.Velinska. 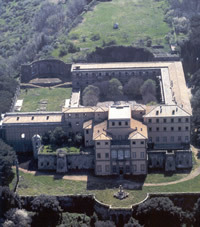 The location of Villa Torlonia in Castel Gandolfo was found with significant help from Michelle Smith. The total collection he acquired included between 20 and 38 manuscripts, and possibly up to 23 printed books. The page mentioned in the abstract explores the composition of the collection of manuscripts acquired by Voynich on that occasion, with the result presented in a table. See Voynich (1921), with a link to an online copy of the paper. I am grateful to Ellie Velinska for pointing me to most of these references. A carbon copy of it has been preserved in the Beinecke Rare Book and MS Library of Yale University. The letter has also been published in Wilkins (1927) (which also has a link to an online copy of this book). It has been transcribed here. The list of previous owners mentioned by Voynich is discussed in detail here. It is MS "J14"in the table on the parallel page. The letter is preserved in the Beinecke Rare Book and MS Library of Yale University. Edith Rickert was working together with John Manly. This letter is also preserved in the Beinecke library, and it is discussed here. A detailed report of the Grolier Club tour of Italy has been published in Austin (1963). His secrecy surrounding the discovery has sometimes been used as an argument that the Voynich MS would be a fake perpetrated by Voynich himself, but such an argument is clearly a fallacy, as his secrecy concerns the entire collection of several dozen manuscripts, all genuine. An example is shown here. The supposed illustrations by Giotto are in a MS sold to the Morgan library. They are now attributed to Roberto d’Oderisio. The supposed illustration by Mantegna is in a Valturius MS sold eventually to the Library of Congress. Both manuscripts came from the same collection as the Voynich MS (items J23 and J36 in this table). The two Corvinus manuscripts and the Marcanova MS, which have been labeled J20, J22 and J30 in the table of manuscripts. The assistant for Germany was Fr. A. Anderledy S.J., who later became General Superior of the Society. The letter was written in French and has been included in several sources, e.g. : Martina (1973). X. Ceccaldi translated parts of the letter into English, as described in detail on a page at his website hosted here. See Rómer (1871), where he is referring to the Didymus MS (J22). There is a good >>online summary of these events (in Italian) and the main source is: Bizzocchi (1971), (very rare publication). Modern Poli. The villa, known as Villa Catena, was later acquired from Torlonia by Dino de Laurentiis. It is presently in a bad state. About Villa Torlonia in Castel Gandolfo more will be said in the following. The palazzo Bolognetti Torlonia, which was demolished in 1903. Main source for this is Grafinger (1997). Specifically, the famous Munich antiquarian Rosenthal. Reference is to the national archives in Vienna: 'Haus- Hof- und Staatsarchiv, Politisches Archiv'. The two Corvinus manuscripts are numbers J20 and J22 in the table on this page. As reported in Rómer (1871). Preserved in the Pierpont Morgan library in New York. I am grateful to W.Voelkle for a copy of it. This was confirmed by Dr. Chr. Grafinger of the Vatican Library (priv.comm.). In addition, Ellie Velinska informed me that Voynich's business associate in Vienna: Amelia Sarah Levetus, has published a book about the history of Napoleonic confiscations of books and transfer of them to Paris. This may have been another source of inspiration for Voynich. The main source for this episode is: Danieluk S.J. (2006), who used original archive material from the ARSJ in Rome. See: A. and A. De Backer (1861). His request was for bibliographical notes about the Collegium Romanum library made by the librarian P. Beorchia. The Roman province included the city of Rome, Frascati, but also Florence/Fiesole. I personally believe that the most likely location was the Collegium Germanicum, where material had been moved after temporary storage in the Palazzo Bolognetti Torlonia. Source: APUG (Rome, Historical Archives of the Pontifical Gregorian University / Roma, Archivio storico della Pontificia Università Gregoriana). It is also reflected >>in this blog entry (in Italian). The photo is published in Del Pinto (1902), of which a summary by Nemi of 1903 is >>visible online here. I am grateful to Michelle Smith for help in locating it. It is entirely possible that, when this photo was taken, the Voynich MS was inside this building. As stated on p.xxv of the preface to the catalogue. As evidenced by the letter written by ELV. To the extent that the Jesuit historian Fr. Tacchi Venturi S.J. pretended not to know the whereabouts of the Kircher correspondence when he received an inquiry from Henri Hyvernat on behalf of Voynich. Tacchi Venturi was later instrumental in retrieving a collection of Jesuit documents from the National Italian archive, which had been confiscated in 1870. Described in great detail at the >>excellent site of Colin MacKinnon.